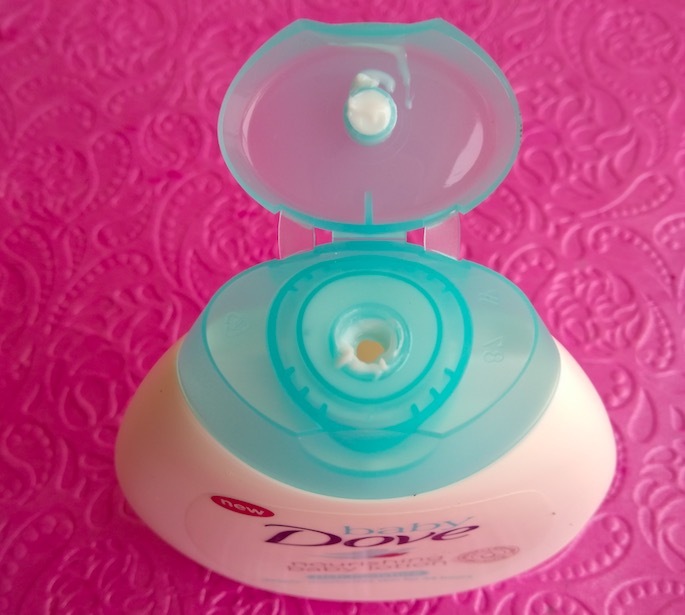 Hey everyone, today I’m reviewing the second product from the newly launched Baby Dove skincare range. 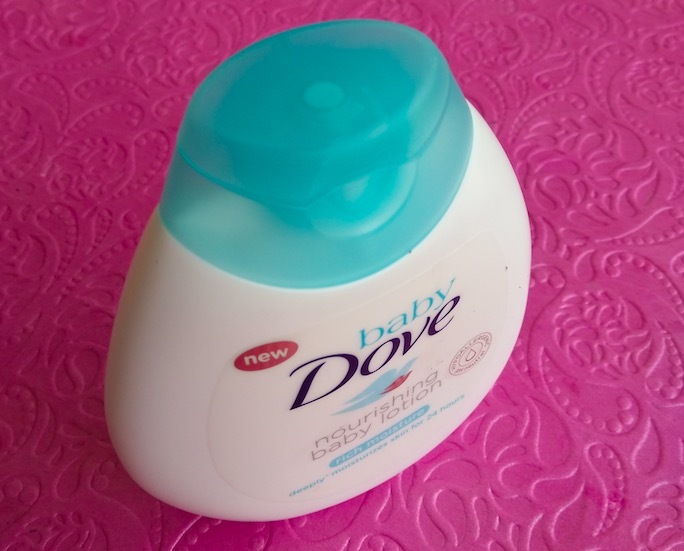 Dove beauty brand recently launched this new baby care collection including 4 products. 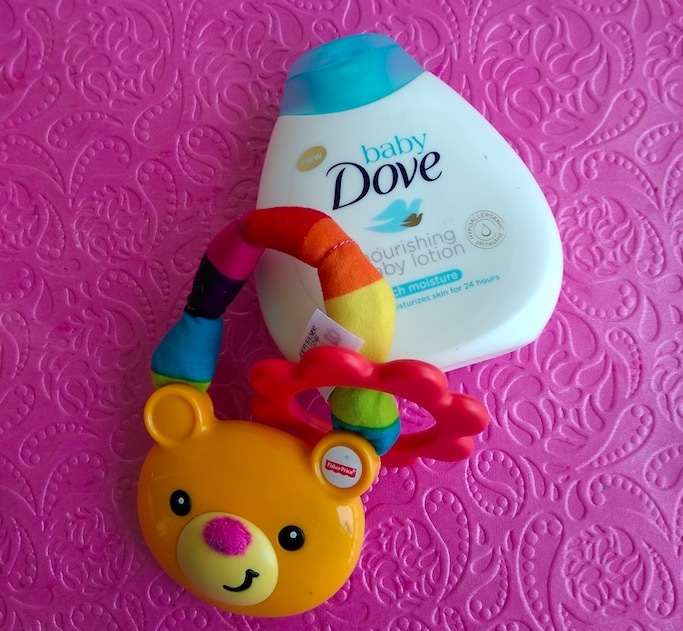 I’ve already reviewed the Baby Dove Sensitive Moisture Bar and today I’ll share the review of the Baby Dove Nourishing Baby Lotion. Packaging: Baby Dove Nourishing Baby Lotion comes in a flat bottle with a flip open cap. The white and blue packaging look very cute and soothing to the eyes. The packaging is sturdy, hygienic & travel-friendly and the product related all important information is also mentioned on the bottle. 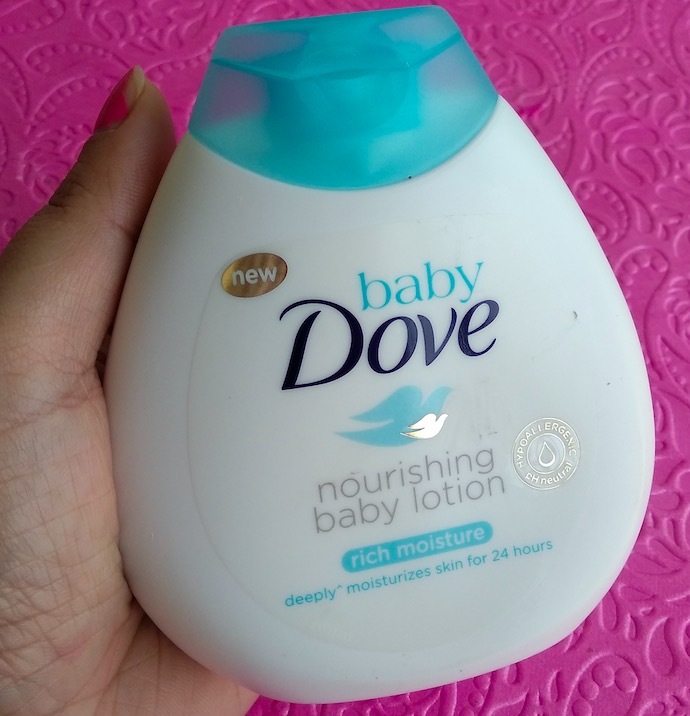 Texture & Fragrance: Baby Dove Nourishing Baby Lotion comes in a milky white color and has a slightly thick consistency. It has a pleasant floral scent which is very mild and it’ll not irritate the sensitive babies. 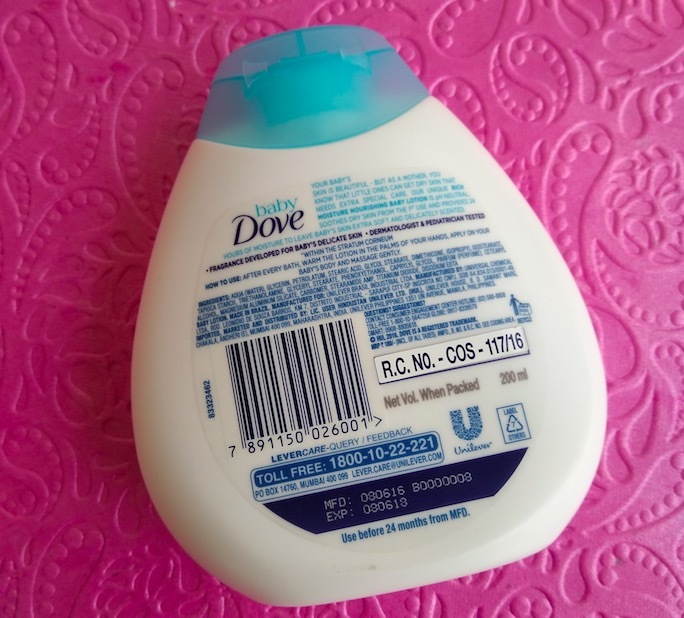 Price & Availability: The price of the Baby Dove Nourishing Baby Lotion is Rs.180 for 200ml. Baby Dove products are available at various departmental stores and also online at Amazon.in. 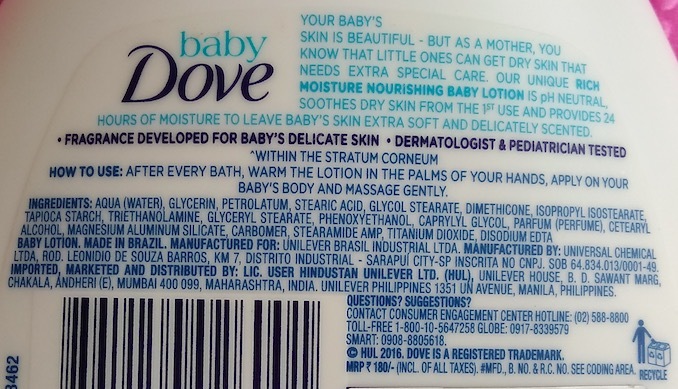 My Experience: After giving a bath to my baby girl with Baby Dove Sensitive Moisturising bathing bar. I take a generous amount of this lotion and massage it nicely on her face and body. It spreads easily and gets completely absorbed into the skin with a little massage. 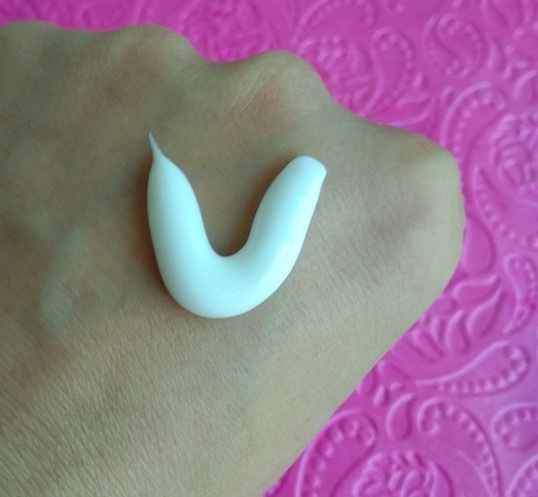 It is quite moisturizing and her skin feels soft, smooth and hydrated after applying this lotion. Despite its rich texture the lotion feels very light on the skin and doesn’t leave any sticky or greasy feeling. 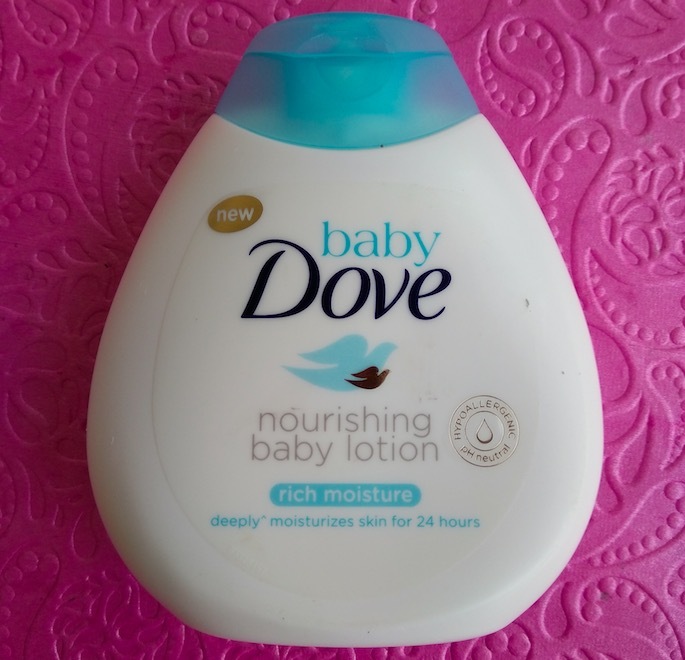 I am using this lotion on my baby twice a day, once in the morning and once during night time before going to bed. It provides adequate hydration and keeps my baby’s skin moisturized for good 8-10 hrs. A product of a well-known and trusted brand. 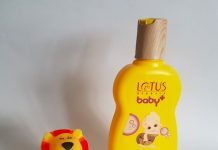 The baby lotion comes in a cute flat bottle which is very sturdy and travel-friendly. A rich lotion that absorbs quickly and leaves the baby skin soft and hydrated for good 8-10 hours. Very lightweight, doesn’t feel greasy or sticky. After 2 weeks usage, it didn’t cause any allergy to my baby girl. Value for money, the quantity provided for the price is pretty decent. It is hypoallergenic, pH-neutral, dermatologist and pediatrician tested. It comes with a mild fragrance to suit delicate baby skin. Ideal to use even for newborns. 24-hour moisturization claim is not true. 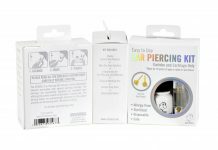 You need to reapply it after 5-6 hours especially during the colder months. Overall I liked the Baby Dove Nourishing Baby Lotion. 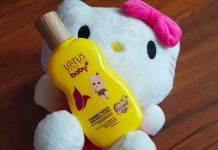 Its light yet moisturizing formula keeps baby skin soft & hydrated for good 8-10 hours. Recommended!